Now retired moved to the country and enjoy walking and gardening. Hektor is the final one of three, lost Henry and Angus now. This one would have been the Great Leader had he met the other two. 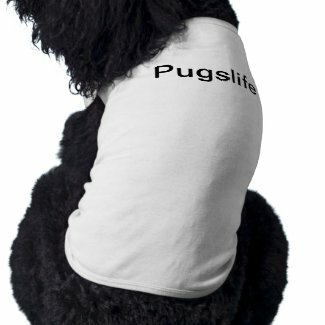 I found the Pugslife site when I recently did a Google search re: Pugs as watch dogs. I noticed Ms. Vaughn's post from several years ago: "Who says Pugs aren't good watch dogs." I loved her story. And, I AM NOT surprised! It's now been almost fifty years. But, we had a Pug, Smoky, when I was a kid. On at least TWO occasions, Smoky awakened Dad in the middle of the night and led Dad to the back of the house. I will never know what Smoky heard, but he sounded the alarm for some good reason! I'm now thinking of getting a dog, at least in part due to increased crime in my neighborhood. The Pug was the first breed that came to mind! While the Pug is admittedly no Doberman or Rin Tin Tin, NEVER underestimate that breed's value as a guardian, or it's loyalty to its owner,or its willingness to defend hearth and home. Wow thanks Helena, I did get some info about how they may change but not first hand news. Still, that's life I guess, go with the flow (and changes). You and Hektor have an excellent week. Great, thanks Helena, got connected. Helena thank you so much,i showed Bear and he licked it lol,it is wonderful,please give kisses to my Hektor. Merry good morning to you both,lots of loves an kisses. Hello Helena,it's a quiet one here well besides listening to these three snore lol,we have a bit of a chill in the air today still no snow which Bear is unhappy about but,hopefully soon.Busy here baking as i'll be busy right on through now,have many things that i need to make not just for myself but,other people as well.Hope your enjoying the day please give my boy a kiss for me.